Sports lighting requires careful consideration of visibility from two differing perspectives, for the competitors the ability to see clearly thus providing a safe arena where they can show off their expertise, and for the spectators, which may include cameras, the ability to see clearly to enjoy the spectacle. So both sets of people need to see clearly but the perspective is different, creating two unique visual scenes and sets of requirements. Each sport has differing requirements dictated by the speed of play, size of target, size and type of playing area, viewing distance, etc. and individual sports governing bodies will set criteria to account for this. The European Standard EN 12193:2007 Light and Lighting – Sports Lighting gives a good overview of these requirements and the document CIE 169:2005 Practical design guidelines for the lighting of sports events for colour television and filming provides valuable information for televised events in large sporting arenas. Good colour rendering is essential to differentiate between opposing competitors or teams, and many sports use colour and colour contrast to improve visibility of sports equipment or differentiate different aspects of the playing area or target. For sports involving a fast moving target, especially if the target is also small, care should be taken to ensure there are no stroboscopic effects caused by flicker from the light sources. This can make the target appear to move in a non-continuous manner making play difficult and creating a potential risk to health due to difficulty in visually tracking the target. Lighting equipment should be chosen after consideration of the environmental conditions, especially the possibility of impact from sports equipment. It is necessary to ensure that the fitting is proof against the most onerous condition considering both force of impact and size of object likely to strike the luminaire. Ideally luminaires should be shaped and mounted to minimise the risk of sports equipment such as balls becoming trapped behind or within the fitting. Consideration should be given to available luminaire mounting options. 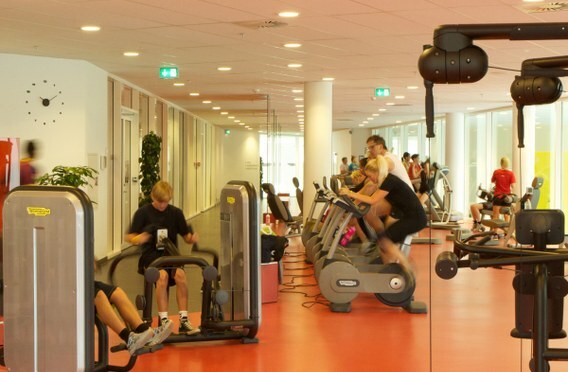 The structural design of a sports building may place restrictions both in positioning of luminaires and in luminaire weight as some structures have limited weight bearing capabilities. 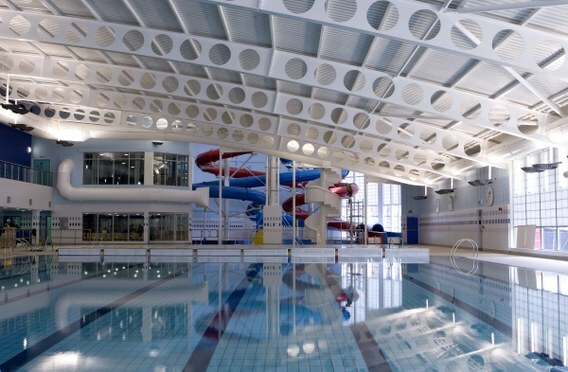 As many sports also place restrictions upon the positioning of luminaires with respect to the playing area to minimise glare and distraction this requires careful design. Lighting controls should allow switching of lighting levels via preset scenes for differing levels of competition, for example training, amateur sports, regional leagues and national or international competition, and also between non-televised and televised events. For multi-purpose halls the lighting should allow scene-setting based upon the sport in play as positioning of luminaires can be critical for many sports, for example those where the competitor has to look directly upwards. 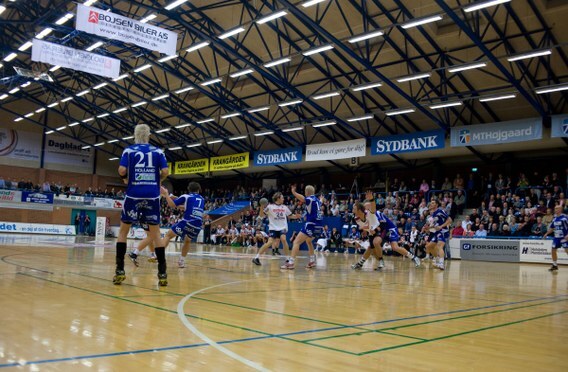 The use of absence controls in many areas can be beneficial but should be used with care in large halls and multi-sports areas as switching of lighting in adjacent areas may present a dark background, reducing visibility of ball, shuttlecock, etc. whilst in flight.